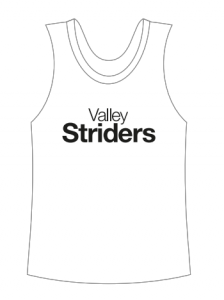 If you are going to run any races, you’ll need to get yourself a club vest! We have two vest suppliers: Complete Runner, and Dobson and Robinson (Intersport), both in Ilkley. Various different styles are available as well as long and short sleeved t-shirts. All garments are stocked blank and printed to order, and can be posted out for a small fee. If you are not sure what size you need, ask around the club and someone will let you try one for size, or pop into either shop. 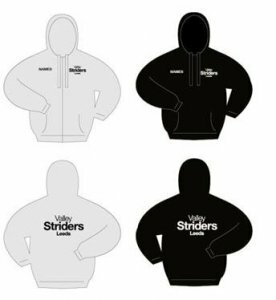 You might also want something to keep you warm after those cold winter cross country races, and we have just the thing. There are regular hoodie orders throughout the year. Look out for details of the next ordering window in the Latest News on our home page or in the newsletter. You can always click on the button below to access our Contact Form and select ‘kit’.